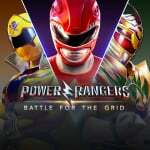 Power Rangers: Battle for the Grid had an incredibly rough start to its life when a YouTube channel uploaded the game's trailer and press release ahead of schedule, resulting in the game being officially revealed on the same day as the first Mortal Kombat 11 showcase. It really wasn't the best start to its fighting career, at all. Now that the team behind the game has comes to terms with this, the release date has been confirmed. The Switch eShop version launches worldwide on 26th March (aka. next week). You can pre-order a standard copy of the game for $19.99 or Digital Collector's Edition for $39.99 right now. Both versions include the bonus V2 Green Ranger skin and a digital artbook. The Collector's Edition also contains the Season One Pass (including three new characters, their arcade story, and warrior skin), an exclusive Lord Drakkon Evo II fighter and a selection of Mighty Morphin Power Rangers Pink Ranger character skins. Watch the gameplay reveal of the full starting roster. See the signature attacks from Goldar, Ranger Slayer, Mastodon Sentry, Kat, Magna Defender, Gia, Jason, Tommy and Lord Drakkon. Check out the game's real-time assist takeover mechanics, dynamic defense, juggle combos, and Megazord come back system in action. Will you be joining the fight on 26th March? Tell us down below. Oh... I could have gone my whole life without knowing Ranger Slayer is Kimberly from an evil dimension wtf is this. Ranger slayer is an amasing character from the shattered grid event in the BOOM! Comics series of power rangers. The whole event affected all of power rangers media and is fantastic! The comics are definitely worth the read. To add on to this convo though I am so excited for this game. I am a huge power rangers fan and have literally been watching since day one and havent missed an episode since. The combat reminds me alot of MvC2 and mortal kombat so I was instantly sold! Go go power rangers! Don't you ever stop! Go go power rangers! You will rise up to the top! Rangers Forever! Probably good for the people who like Power Rangers, though. Looks good. But a bit to chaotic for me for now. And only 9 characters? Instead of that boring generic tunes, why not just use the Go Go Power Rangers theme song in the trailer so to better hype the game. I basically fall asleep watching this, something I normally don't do when it comes to Power Rangers. Power Rangers are still a thing? Im not sure power rangers is the best ip to turn into a hard traditional fighter since kids watch it, and every character is the same, but whatever. I guess as long as it's fun. I might get this if it has a single player story mode. I'm curious is there any Super Sentai fans on this site interested in this game? @PBandSmelly cant tell if trolling or not...power rangers have had several fighting games in the past and there is 25 years of rangers and villains to pull from. @SladeStrife Don't sweat them, man. Most people never got invested enough in the franchise as kids to learn to differentiate the Rangers' unique attributes. I won't lie, I only ever watched MMPR, but I've always loved it (and have been getting into the BOOM! comics). Some of these later season characters I don't know/care for, but I'm still excited for this game. Would really love some Monster-of-the-Week from the original series to show up (or hey, game developers and BOOM!, maybe get some Beetleborgs and VR Troopers into these things). @Kriven yea I try not to...I have just been hearing power rangers is for kids or how I'm wrong for liking the show since day 1...just gets under my skin...I'm 31 and have never missed a single episode (I'm counting spinoff as well big bad beetleborgs, vr troopers, kamen rider...hell I even stomach's Saban's ninja turtles...) there is so much lore, and depth to power rangers universe and I love how they try to keep every season connected as a whole. I'm open to buying into the standard edition early, but I want to know if I can switch or add-on the digital collector's content later if desired (and if so, what's the price). YES!! I really hope it's good. We didn't get "Mega Battle" which rather pissed me off and it's been a while since we've had a genuinely good, if overly simple Power Rangers game (Samurai on Wii and DS). This looks very MVC-ish, which is good! Kind of a weak roster, but I might pick it up in the hopes that a better game with a higher budget will come into being at some point. @Mach_Rider Mega Battle was meh. I got very bored of it on my first go. You didnt miss much. That character roster needed to be at least around 20 fighters given the history of the show. I'll see what reviews say. Oke.... At first i was like nah no power ranger for me, then i clicked on the video and was immediately sold 😂😂😂 i want it! Aounds strange for a 35 year old playing power ranger haha but dont care looks great! I'll decide on this after reading reviews and player impressions. As a couple of people have mentioned already, check out BOOM Comics PR series. They do a really good job in capturing the spirit of the show, but being fresh and treading it's own ground. Well just pre-ordered the deluxe edition for $39 with the season pass included in that cost. Plus it includes 3 extra skins and an added character along with the DLC access to the upcoming additions. Hmm. Since this season’s current sentai games are a bit weak I miiiight get this but I have no interest in the power rangers lore as I switched to super sentai after the first two seasons of MMPR. But I really just want another good super sentai fighting game. Well maybe if this sales well, super sentai will do another fighting game in Japan. This feels like reverse port begging for me. I am willing to buy this just hoping Japan gets a better game. @justin233 Power Rangers exists to primarily sell toys. An interesting fact is that almost every morphed scene, where the Rangers are fighting bad guys comes from the Japanese series Super Sentai, where a season of Super Sentai and Power Rangers share the same costume. Super Sentai is almost 50 years, I don't believe it's going to stop soon. So long as the toys keep selling, I don't believe Power Rangers will stop anytime soon. Of all the properties NOT to be turned into a dynasty warriors game....LOL! Looks fun though. @justin233 It's been a thing since 1993, with the only "year off" being 2010. @GameOtaku DINO CHARGE! ALL TOGETHER! Why does this game look so good? Damn! I'll grab it if it ever goes on sale. @Kriven if we got the Beetleborgs and VR Troopers in this game, my hype meter would go over the roof. The only thing annoying me about this game is the early release date. Things were set for April and now Im completely out of time to pre order and get Green Ranger v2. Oh well. Ill join in on the fun in April. Is there a physical version for this game? Well, I know me and my kids will enjoy it for what it is... Besides, my five and ten year old are looking to play this with me, so maybe this will be a good "entry" fighter game for them. @LaytonPuzzle27 for sure!! EMERGENCY! DEKARANGER!!! MAHOU HENSHI... MAGI MAGI MAGIRO!!! Ummm. Needs better tunes and voice sounds! The official site no longer states the digital artbook being included with the Switch, PC and PS4 versions of the game. It's now only being listed for the X-Box version. I'd be seriously pissed off if nWay don't deliver on this. It's probably a friggin' PDF, it wouldn't cost them anything to send with all pre-orders, so why the change I wonder... No official response from them as of now. @Mach_Rider I pre-ordered the digital collector’s edition yesterday afternoon. I’m going to be pissed off if I don’t get the digital art book, for pre-ordering. That’s one of the main reasons I decided to order through the official website in the first place. Hopefully, it’s just an error, and it’ll be re-listed in the product description. @EmmatheBest There is no physical version. Sold. I’ll buy it for sure. @GameOtaku @SladeStrife @JedRock @Kriven It's guys like you that make me a long-running Power Rangers fan! I can't wait for this game! My favorite series is Power Rangers: Jungle Fury! @LightyKD Same here I was ready to sit back and pre-order the game later, then I have virtually no time (and no cash since I needed blaster Master Zero 2 and Cuphead) because of the early release. Still, I will get this game and dedicate 3 hours a day to learn combos! I still plan to get this game. It would be nice if the Green Ranger v2 skin was extended for a month, especially since NWay was "shouting" April this whole time only to switch up on us. @SladeStrife They better put my boi RJ and the Spirit Rangers form Jungle Fury! You definitely are right about that plastic and fake feeling, though... SPD, I haven't watch that in years! I can still recall that intro: SPD Emergency! (guitars play then drums enter) Power Rangers SPD, Power Rangers to the rescue!... Good memories. I loved Dino Thunder as well. Mystic Force was also really nice. I remember waking up early Saturday to Mighty Morphin' Power Rangers... my favorite episodes were when the Green Ranger came to help out with his awesome solo Megazord and controlling it with that sword/flute/knife! @LightyKD I agree it would have been nice, sigh. Too bad they can't give a White Ranger alternate skin to anyone who couldn't get the V2. @justin233 Lame attempt at trolling is lame. I know nothing about Power Rangers but if the game's good enough I might get it. It's a pretty good price. I think this game is really going to surprise a lot of people. it's getting a lot of people talking in the fighting community. My favorite seasons (besides mighty Morphin) are Lightspeed Rescue, Dino Thunder and Time Force. Maybe Joel the green Lightspeed ranger will be playable! @GameOtaku Dino Thunder was one of the best, for sure! @SladeStrife Yeah, i think a few months down the line and a few updates in and this will be something really good. @PLAYwithGregg Who’s trolling? I literally have not encountered anything “Power Rangers” in years aside from seeing them here. I actually thought they quit making the show. Well, the show's been on the air non-stop, we got a relatively big-budget movie in 2017 and the comics by Boom Studios are getting wide praise. Hasbro just recently bought the entire friggin' franchise for a hefty sum too. But in all honesty, it's not just you. A lot of people have no idea PR is still a thing, sadly. It's just that us fans tend to take it a bit too personally when people say it's a dead franchise/brand. Triple A? Certianly not. Dead? Far from it. As for the game, I got my code for the game AND artbook download early in the morning, but the eShop still won't let me use it as the game has a page, but isn't available for purchase yet. Some people however say they also got a second code for the Pre-Order exclusive Green Ranger v2...which I don't have even though I did pre-order the game from the site. @Mach_Rider weird I got all three codes in the one email...just waiting for eshop to update unlike others on Twitter and Facebook who have no patience and think it should have worked immediately. This is more Nintendo updating their side than Nway.